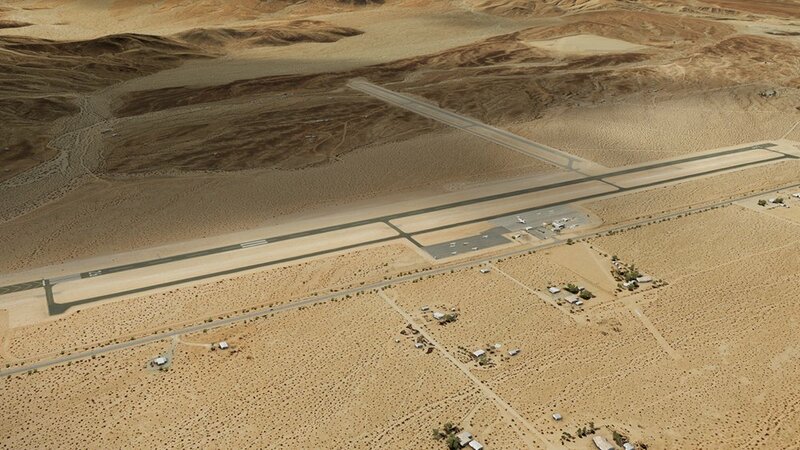 KTNP- Twentynine Palms (formerly known as Twenty-Nine Palms) was named for the palm trees found there in 1852 by Col. Henry Washington.Located in the Mojave Desert, California, dry climate, palm trees, shrubs and sand as far as the eye can see characterize Twentynine Palms Airport and its vicinity. 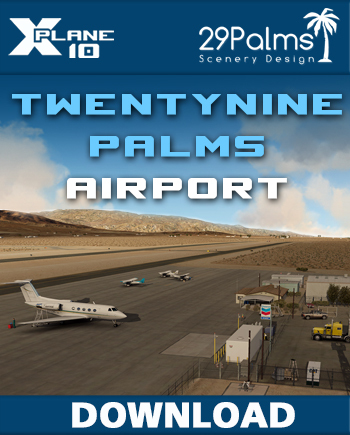 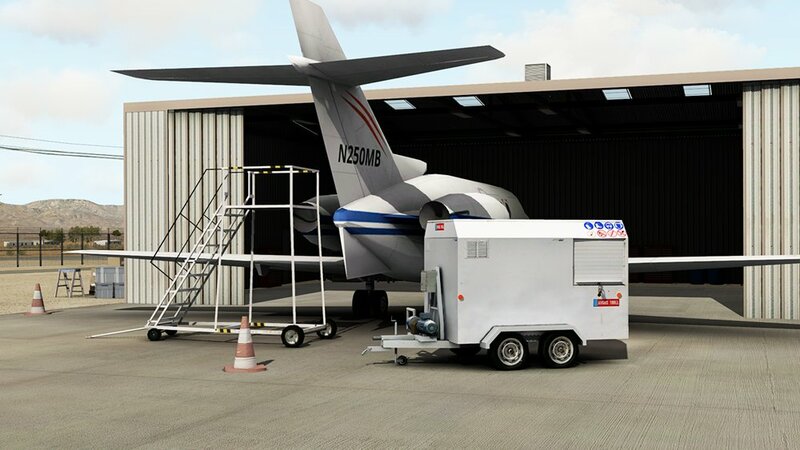 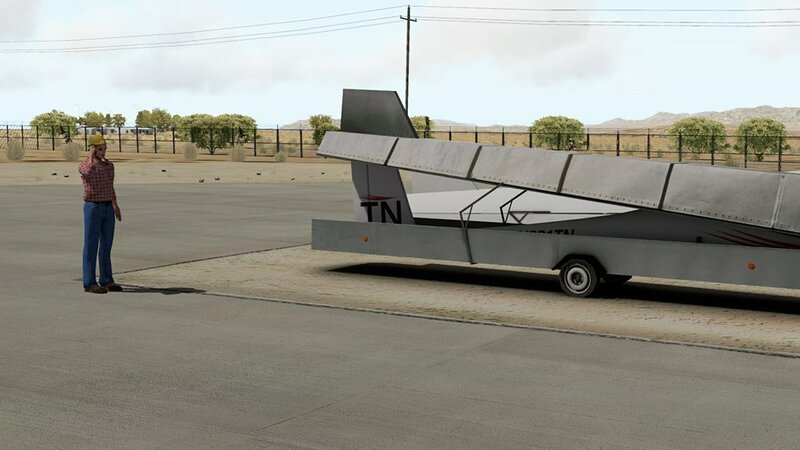 Twentynine Palms Airport is the first project of the scenery development company 29Palms Scenery Design and JaraNet for X-Plane 10. 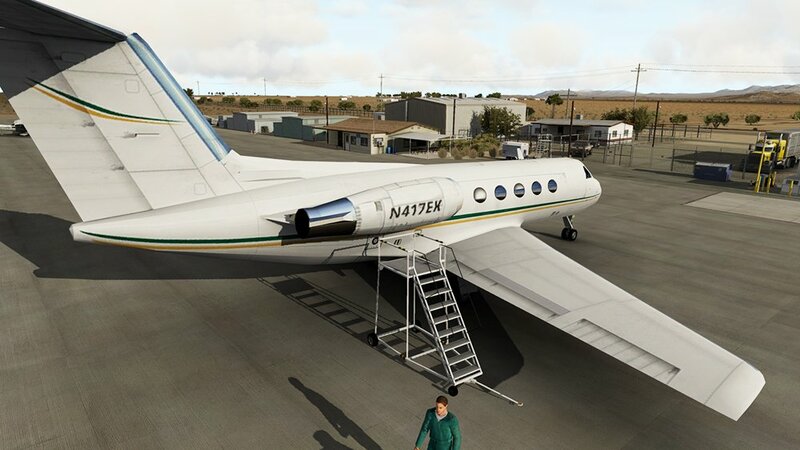 They have set a whole new level of detail and realism with this scenery, based on many references from the real airport. 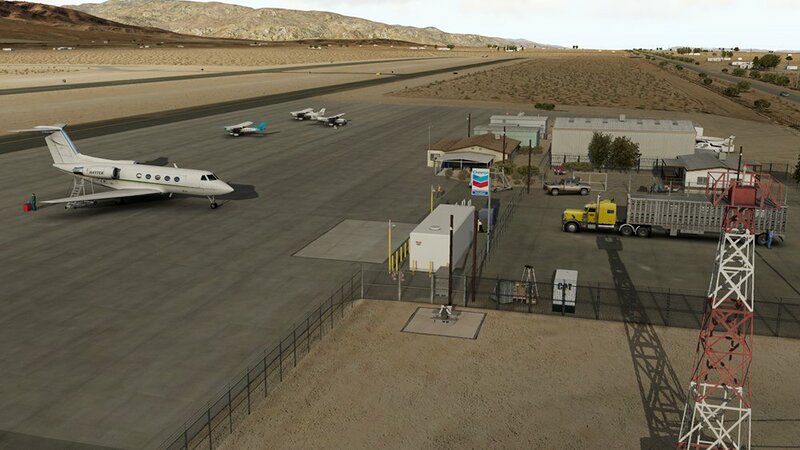 Along with a huge library of high quality 3D objects, the software forms the basis for all prospective 29Palms sceneries. 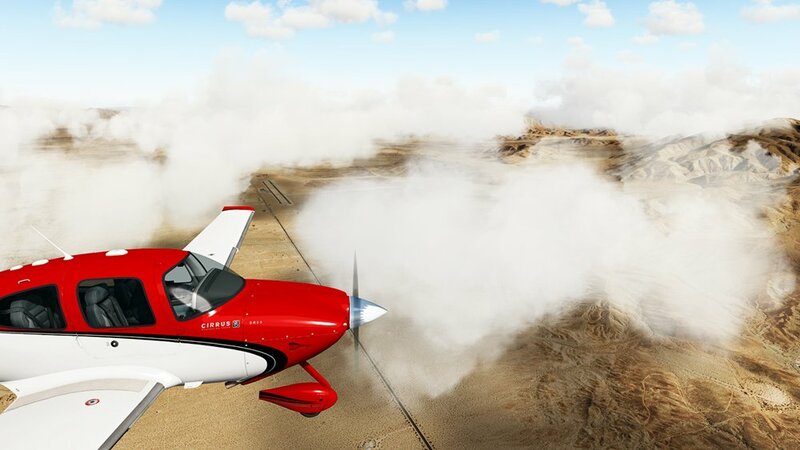 Covering over 250km² with high resolution satellite imagery, the scenery provides a lot to explore.